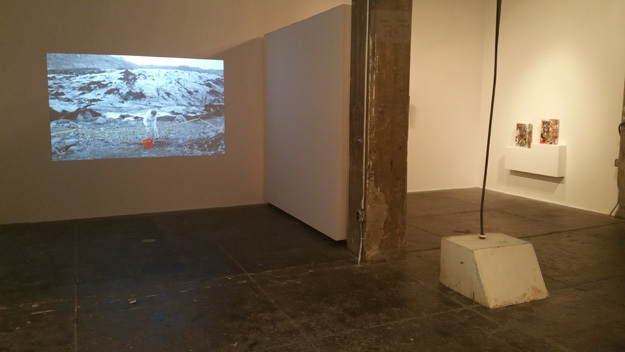 In BRICK MOON, FJORD’s inaugural exhibition in their new gallery space at the Crane Arts Building, the underlying themes of home and belonging are quietly negotiated through paintings, film, photography, and sculpture. Inspired by the fantastical story of the same name, written by Edward Everett Hale in 1869, BRICK MOON invites the visitor to explore a familiar understanding of “home,” while presenting the conflicting ideas of transience and belonging as part of a new reality of this understanding. Nearly a century later, in 1958, Gaston Bachelard’s The Poetics of Space introduced the notion that “home” is any space we inhabit; that as humans we bring with us our own customs and traditions to make the unfamiliar commonplace. 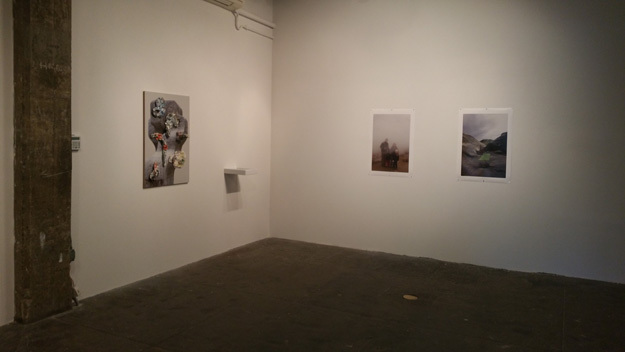 BRICK MOON brings together the work of seven artists whose processes examine and document this ever-expanding nature. In painter Sarah Pater’s work the mundane is painstakingly and delicately documented. Much like Gerhard Richter’s photo paintings of the mid-to-late 1960s, Pater is forcefully ordinary in her subject matter. 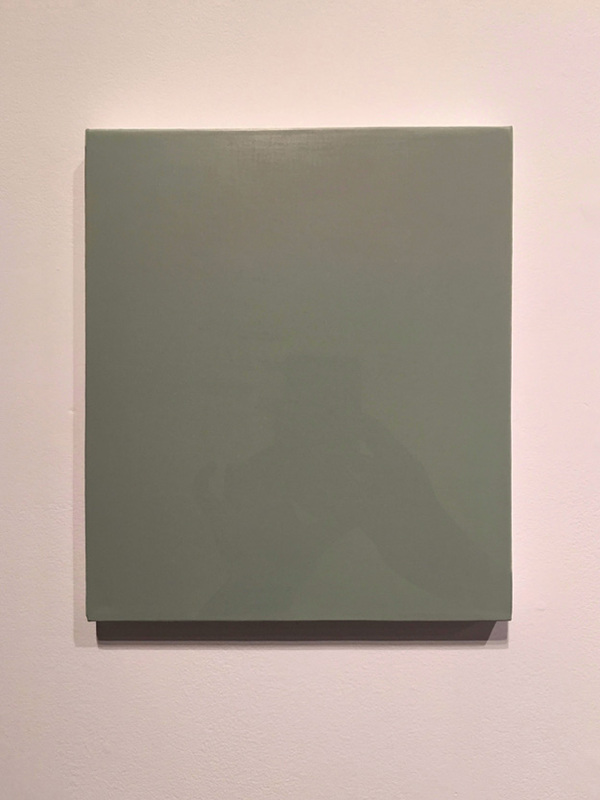 The form of one’s fingers as they take a photograph with a cell phone in Photograph (from A.G.) is so subtly suggested in the artist’s reductive process that it almost goes unnoticed, until the viewer raises his or her phone to take a photograph and is then left wondering if the shadow is theirs or the artist’s. Window View (sunset) is similarly curious. 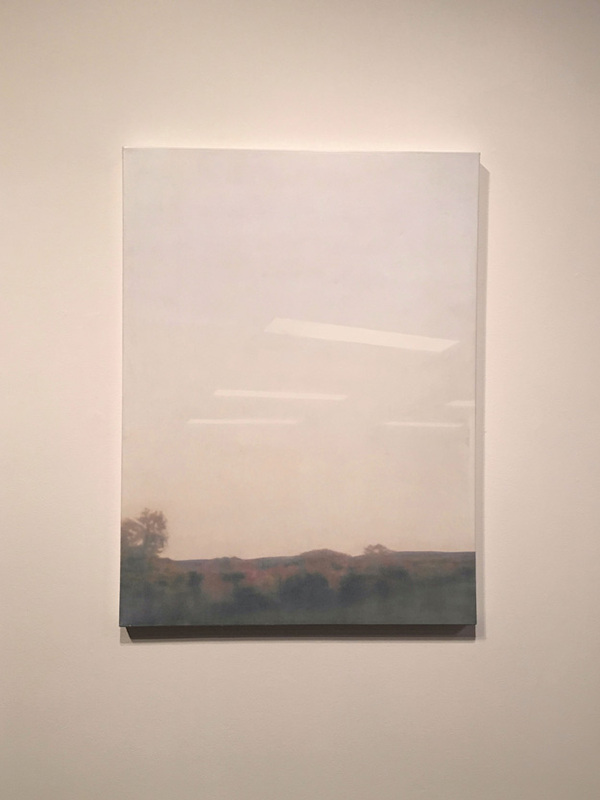 A landscape as seen from the window is an escape from the everyday, until jolting the viewer back to the reality of the florescent lights and drop ceilings reflecting from a unremarkable office. Discerning and humorous, Pater’s softly focused paintings are fraught with feelings of quiet discontent. Her work creates a tension between solitude and confinement that is unsettlingly comfortable. Works by Bastien Aubry are Dimitri Broquard are assertively precarious. 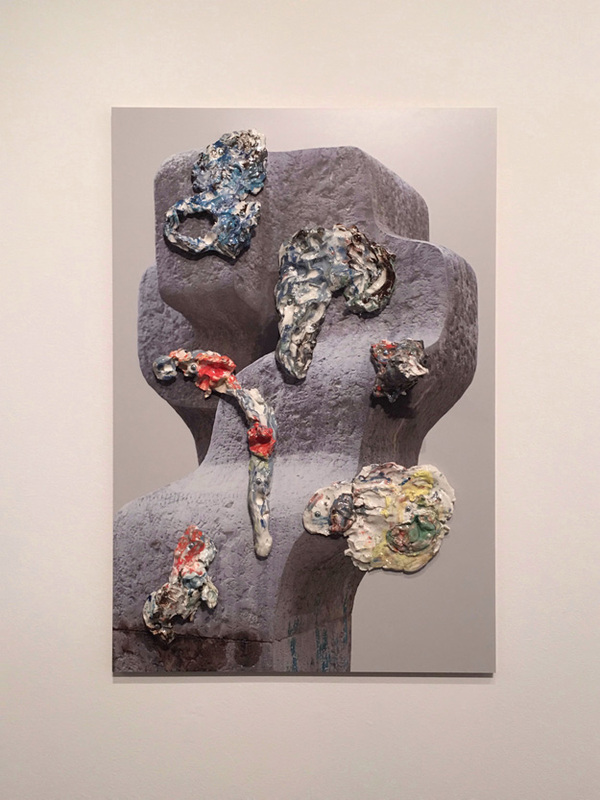 In Modern Contradiction (Superficial Painting), misshapen ceramics unapologetically adorn a photograph of a stone sculpture by the duo in a juxtaposition both familiar and jarring. 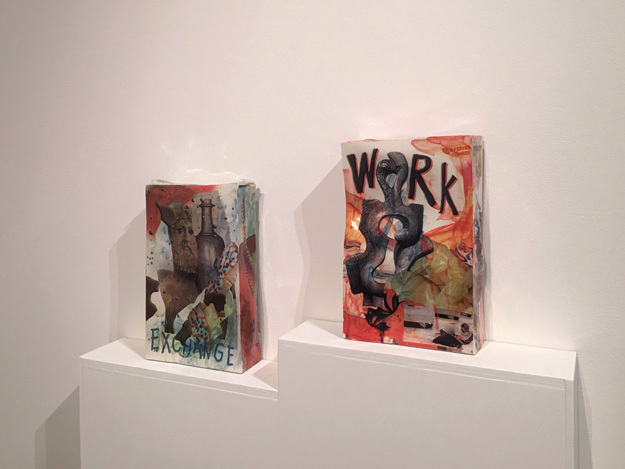 The pair’s Cerebral Boxes are subversive abstractions of brightly colored cereal boxes. Collaged reproductions of Classical art and found images are paired with an almost violent process of mark-making on the glazed porcelain boxes. “WORK” and “EXCHANGE” are scrawled on the boxes, along with image transfers of sugary cereals and phrases like “5% EXTRA FREE.” Aubry and Broquard’s Cerebral Boxes are vivid and glossy, candid and dark. In their merging of pop culture with tradition, cereal branding and art history references manifest an unmistakably adult urge to return to childhood. 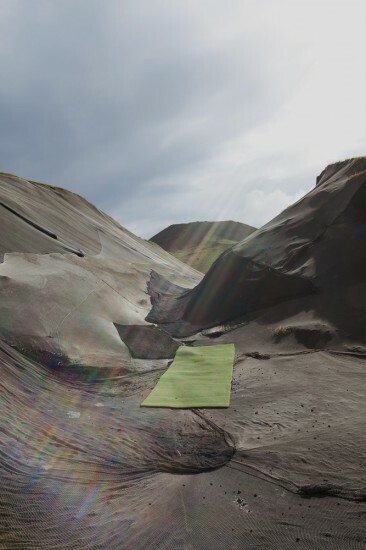 The painterly, otherworldly Icelandic landscapes in Judy Natal’s photographs are a shift in the exhibition’s singularly domestic narrative to one of fragile, global inclusiveness. Captivating and oddly calming, Natal’s Future Perfect series is a reflection on a possible fate of humankind: one in which our present choices can result in potential or peril. 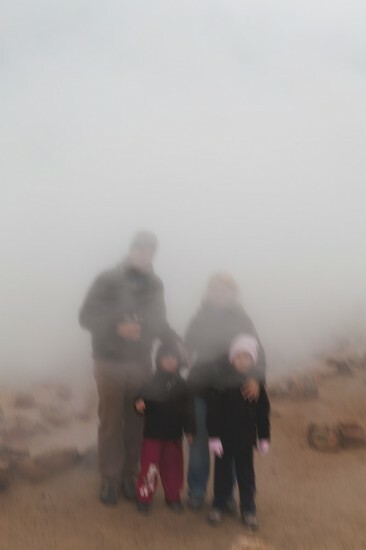 An unremarkable family portrait becomes otherworldly when the subjects’ faces are obscured by steam; a breathtaking landscape is marred by layers of colored astroturf—composed of harmful chemicals and made with materials that take centuries to breakdown—which in itself is a material that typifies a society of overindulgence and unnecessity. 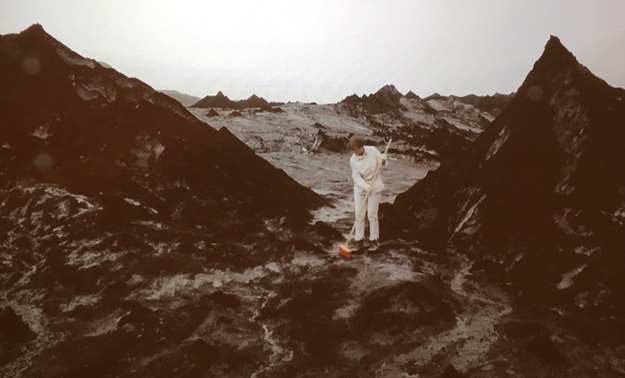 Excerpts from Natal’s film The Custodian (from the same series) immediately evoke the dramatic Scandinavian landscapes of Ingmar Bergman’s film The Seventh Seal. Both a modern day allegory of Sisyphean nature and memorial to the loss of the elements, The Custodian addresses our sweeping notions of home in an ever-connected world: one in which each action has the possibility of creating a very real and tangible change. 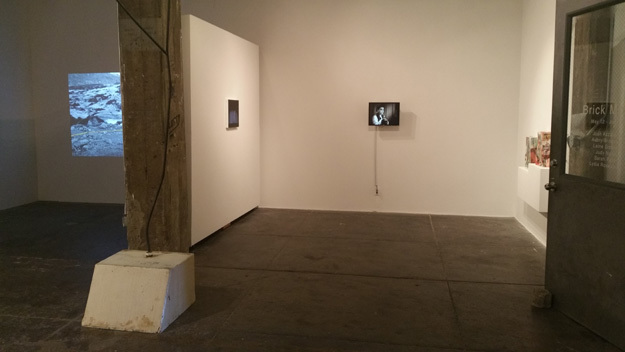 Singular works by Lydia Rosenberg, Laine Godsey, and Josh Azzarella quietly inhabit the exhibition. Rosenberg’s nod to home is in the form of a Surrealist silverware drawer, in which half of each utensil has been neatly removed. Commonplace yet disturbing, Rosenberg’s work is a smug memory of childhood chores that continue into adulthood. 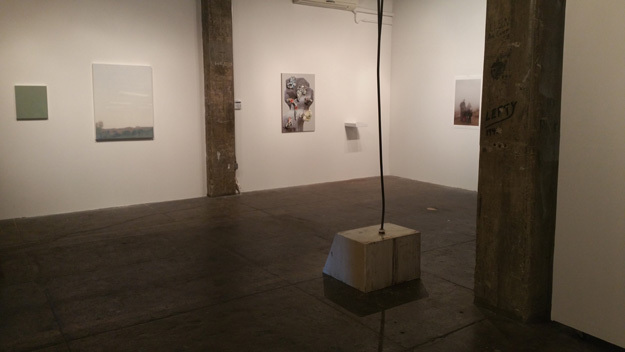 Anchored in the center of the gallery, Godsey’s sculptural work extends to reach the ceiling height of gallery. The contrast of materials is industrial and domestic; masculine and feminine; hard and soft. In its silence, it begs the question, “Is this where it belongs?” Video by Josh Azzarella presents recognizable cultural images from films like The Wizard of Oz and in which speed has been altered and the familiar view displaced. His process is meant to confuse that which we thought we knew in order to present a new reality in place of shared collective knowledge. In this suspension of the past, Azzarella’s work is a fitting end to an exhibition that is both a meditation on our histories and a questioning of our abilities to remember. Erica Maust is a designer, writer, and flower grower based in Philadelphia.